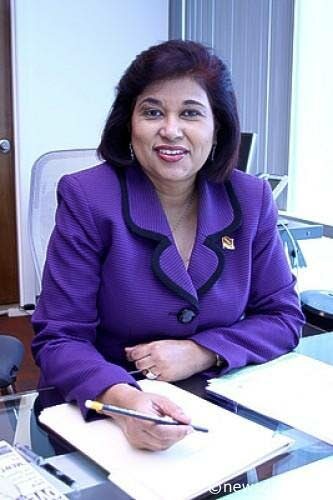 CONGRESS of the People (COP) leader Carolyn Seepersad-Bachan yesterday firmly condemned past incidents of the acquisition of data on voters personal/private computer use by a foreign firm embroiled in a global scandal of election manipulation and linked to former officials of the COP. She spoke to Newsday in wake of revelations in the local media that Cambridge Analytica (CA) had acquired the computer browser history of 108,000 citizens, including web-sites visited, Facebook posts and Twitter tweets as part of a consultancy for the COP, and had sought data from the registries of marriage, divorce, hunting and fishing. Elsewhere, Cambridge Analytica has been accused of using Ukrainian prostitutes and cash bribes to try to influence Kenyan elections in a report by Britain’s Channel Four News (which it denied), of unlawful campaigning in the Brexit campaign and of unethically accessing people’s information from Facebook to help elect United States President Donald Trump. Seepersad-Bachan, who recently became COP leader, said she did not even know of the existence of the firm. “No Cambridge Analytica helped me in my 2010 campaign (where she was elected San Fernando West MP). Reply to "Carolyn hits cyber spying"